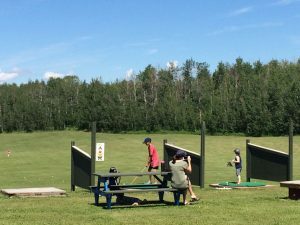 Welcome to our driving range at Kokanee Springs RV Park. With beautiful, huge green space surrounded by gorgeous trees, this activity is one that is sure to be enjoyed by golf enthusiasts of any age. 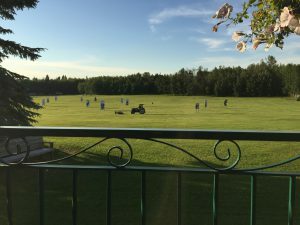 Whether you are learning to hit balls at a beginners level or are an experienced golfer trying to improve your swing, hitting accuracy or distance, our driving range is a great place to relax and enjoy this fantastic amenity. Stop by the main office to purchase a small bucket of balls for $7, large for $10, or a crate for $30.00. Club rentals are $3.00 each and rubber golf tees are $2.00. All equipment must be returned to the office.